1. I slurped this cucumber jalapeno margarita while in California last week. Ughhhh. So good. I also hate the word slurped. 2. True love is cleaning someone’s 3-day old oatmeal pot. Especially when it’s made with milk. And when the only way you like oatmeal is inside of cookies. 3. 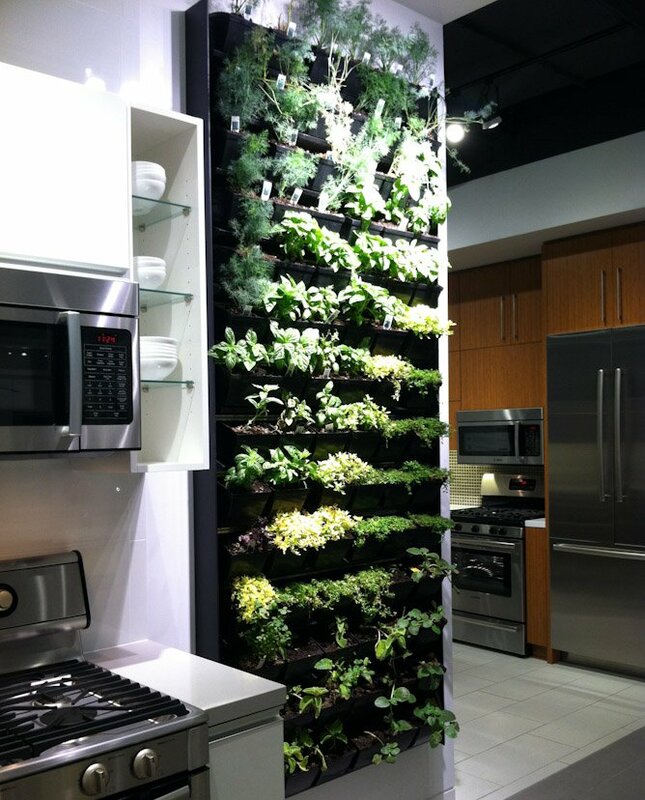 Check out this crazy floor to ceiling herb garden that lives in the Thermador kitchens! How can I do this? It’s a must. 4. Though I probably should not have an herb garden IN my kitchen, as it would exacerbate my laziness because I wouldn’t have to walk a few feet outside to water my plants. Which are dead anyway. Oh well. 5. Okay… so it’s clear I’m having an issue with blueberries, right? Ummmm I might have four blueberry recipes that I haven’t even shared with you yet. And now, I want this blueberry pudding cake. I’m a sucker for pudding. 6. When you guys ask me how I take my photos, and I laugh hysterically in response, this is why. I snapped this a few days ago with my phone… of me taking pictures on my very recently-used and still sweat-soaked yoga mat. No tripod, nothing fancy… just me and my water bottle. And don’t worry – I didn’t feed anyone this yoga sweat recipe. Except myself. Because I sat there for about 45 minutes in that exact spot devouring it. It’s a loooong story. 7. And if you could like, even SEE the mess I make? You would probably demand that I have a full-time maid following me all day long. Let’s make that happen. 8. I clearly think I’m very important. 9. Since it’s a billion degrees outside and I can’t stop turning on the oven, I’m going to drink this watermelon mint lemonade for the rest of my life. 10. Over the weekend, I ate Mexican food twice in 12 hours. That was also on the same day as my 5-hour nap. Suuuuuper productive weekend. 11. Oh Tom Cruise… I’ve always loved you even in your height of wackiness, but now that I’m hearing it was YOU who halted the Dawson’s Creek reunion? We’re done. Kaput. Now let’s get that show on the road. 12. Cheapo neon orange earrings. I’m living in them. I probably embarrass everyone I’m with. Always. 13. What fun things are you doing for the 4th of July?! I’m not cool enough to party, so I’m gonna live vicariously through you! Fresh Cherry + Dark Chocolate Chunk Scones. Those neon orange earrings, what are those? Are you reliving the 80’s? And that HERB GARDEN!!!! OMG!!! That would be so incredible to have that RIGHT in the kitchen!!! But I’d probably have the dirt ALL over the floor and counters and that would just drive me flat out bonkers, I tell ya. How funny is this? I just read the post about your neon orange earrings & a song called “Neon” by Chris Young just came on my radio station, lol! My 4th will be spent over to my brother & sister-in-laws house for a cookout with the whole family. OMG I LOVE that song. Mainly because of the name. 4th of July. The boys are getting up early and going fishing. I am not, because I am clearly not a crazy person. I will be sleeping in, eating a late breakfast, and lounging by the pool. Later we will go watch fireworks downtown where it is sure to be packed, I will imagine being trampled and consequently hyperventilate. Can I relive the 80s with you? I think if we ratted our “summer hair” and hit it up with some Aqua Net it would be awesome. Totally totally awesome. If you Google it, Martha Stewart’s recipe comes up first, so clearly this is classy and not trashy. My (cooking-illiterate) roomie and I are having a BBQ, for which I was going to cook all kinds of great dips and fashion delectable burgers… Then, I fractured my hand. So Crockpot baked beans and store-bought salsa and guac it is…… and a LOT of margaritas. I’m making your dark chocolate peanut butter chip cookies for the 4th of July (3rd year in a row!). ohmygosh OhMyGosh OHMYGOSH those earrings. I was just transported back to high school. and I am loving the neon… (again? still? I know I’ve already said this here – you are the only one I see who is as into the neon as me). Running a local 10K in the am, so I won’t feel so bad about the alcohol-fueled gluttony that will occur the rest of the day. Actually, it starts tonight – I have an apple pie in the oven and the homemade cinnamon ice cream is firming up in the freezer :) Happy 4th! Celebrating a (slightly late) birthday! It’s the advantage to having a birthday very, very close to a day you get off from work. Plans involve sleeping in and eating really good food. Also, enjoying air conditioning. What else could I ask for? Oh my goodness. That cucumber jalapeno margarita is just….everything. There is nothing wrong with eating Mexican food twice in 12 hours. I support this 2839028329%! whaaaat?! that is indefensible, tom cruise. unforgivable. 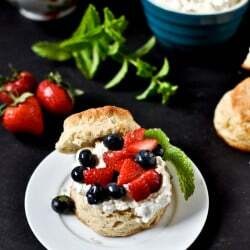 Just wanted to let you know I’ve known your blog for a while, and made a few of your recipes, but I never really read your ‘Tuesday Things’ posts (that’s a lie.. but I never really gave it a lot of attention). Until today. I just read 20 of them in one go, laughed so much I’m getting a six pack. SO thank you for being so funny and making my day. You truly are my favourite thing on the internet right now! Obviously that must be why Katie is divorcing Tom. Unforgivable! The minute I heard about the divorce I thought, Hey now, let’s get that Dawson’s Creek movie made! Can you imagine how amazing it would be?! I would kill for some fresh potted cilantro, basil and parsley IF they didn’t die. Perhaps the full-time maid following me around could take care of pesky plant-keeping, right? Happy 4th of July, no doubt you’ll eat some great food and that’s the party in itself! Oh my, what I would do for that herb garden! Auggghhhhh!!! Katie needs to sign up for that reunion movie right away! Tom is off my list for sure. i hope this means dawson’s reunion. you know i’m so down. you can do it in your sleep! I want that indoor herb garden too. tonight. I’ll also be popping a blueberry pie in the oven for dessert. Yum! Oh my gosh! I hate oatmeal unless it’s in cookies! Yuck. Oatmeal tastes like baby food. It’s my birthday, so I indulged in homemade chocolate cake! Ah, I’m with you on the bluebs. My big 4th of July activity was making a batch of the blueberry honey jam from Tart & Sweet. I’ll open a jar next week (after I finish the jam I’m eating now) and give it a try on my morning pancake. That drink looks familiar. We’re you at Sol Cocina? That drink looks familiar. Were you at Sol Cocina?